Founder, C.E.O. 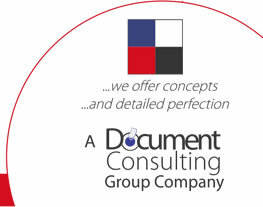 & Managing Director drives this business, ensuring ON TIME BUSINESS CRITICAL QUALITATIVE DELIVERIES, FIRST TIME & ALWAYS. To achieve this dream, I have set up a team ( Sales / Business Consultancy, Technical Support, Finance, Logistics & Back Office Support ) with over 100 years cumulative experiences to deliver world class qualitative business critical service deliveries – first time & always. We are truly committed to making a positive difference to our clients……..with the ultimate objective of positively contributing to your bottom line, profitability to your business. Our values create a sense of shared identity. Our working slogan……..we offer concepts…….and detailed perfection, clearly define what we truly stand for. EBT is about friendship, loyalty, innermost conviction of what you want to achieve & most importantly, believing in one another. My parting shot……anything in life is about risks, there are no loosers &/or gainers …… if you loose, it is a learning curve, if you gain you are happier …..at EBT we live the DREAM of WIN WIN for all …..
We are glad you have taken time to visit our www & hope to add value to your business through our varying cost effective services / solutions. Our offices & all the resources are readily available for your use. Looking for something? Type what you are looking for and click search.